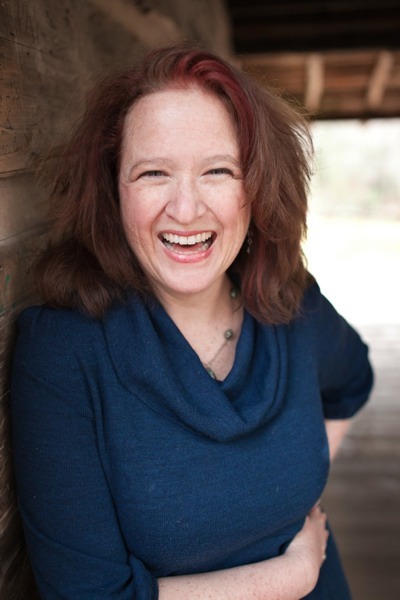 Jaye Robin Brown on NO PLACE TO FALL, what makes her laugh & a giveaway! 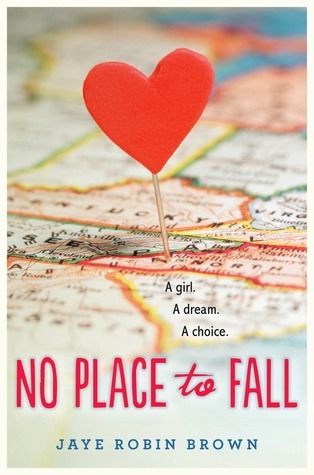 I’ve had the pleasure of writing and revising virtually alongside Jaye Robin Brown during our #5amwritersclub sessions on Twitter, and am thrilled that her book, NO PLACE TO FALL (HarperTeen), is out in the world! Described as THE SKY IS EVERYWHERE meets THIS LULLABY, Jaye‘s poignant debut novel is about family, friendships, and first romance. Here’s the blurb: As good girl Amber prepares for her audition at the North Carolina School of the Arts, her relationship with her best friend’s older brother gets more and more complicated. When the bottom drops out of her family’s world in an afternoon, Amber faces an impossible choice, being there for her family, or following her dream as an artist. I am Captain Map. My superpower is an oddly keen sense of direction. Example: My partner and I were on a state long discovery of California, which started in San Diego. When we left the airport and headed north we decided to find a restaurant. I pulled off the interstate in a promising looking area and we found a fantastic pasta place that made all of its own noodles. A week and a half later, on our way back to the airport to head home, I was all “Hey, do you want to eat at that pasta place again?” Raven told me I’d never find it, but I drove her straight there. Maybe it comes from being such a map geek. (cue: cover of my book!) I love maps and even have a collection of old globes. And I forget to use my GPS because I always look up Mapquest and visually memorize the directions to just about anywhere. A poet and a veterinarian. The former, I guess came true in a sort of way. The latter only in the “I have too many animals” way. Though I loved biology classes as a teen, math and science in general, were not my top subjects. There was this meme circulating on the internet last year of a Siamese cat prowling a wall, set to the song Sail by AWOLNATION. It will get me every time. Also Jennifer Lawrence blooper reels, and the amazing Jimmy Fallon and Emma Stone lip synch competition. Stupid stuff on the internet, basically. When she’s available! Pat Esden and I met years ago through a forum called Verla Kay’s Blueboards. She was seeking CPs and I was looking to expand as well. We were a good fit both in critique style and writing and have worked with each other ever since. What’s been cool is we’ve grown at similar rates. I got an agent and sold first, but she was quick on my heels and the first of her New Adult trilogy, MOONHILL, releases in 2016 from Kensington. What I like about Pat, is she doesn’t hold back. She’ll nitpick me to death if I ask for it. I don’t always agree, but I much prefer a critique that has suggestions and questions rather than someone who tells me everything’s great. Because until it’s much closer to copy edits, it’s far from great. <= True story! Thank you, Jaye, for stopping by! GIVEAWAY: Comment on this post by Noon (EST) on Friday, February 13th to win a copy of NO PLACE TO FALL (Digital copy). Follow The Debutante Ball on Facebook and Twitter for extra entries—just mention that you did so in your comments. We’ll choose and contact the winner on Friday. Good luck! Jaye Robin Brown, or Jro to her friends and family, lives in the mountains outside of Asheville, North Carolina. A dreamer by nature, she knew life wouldn’t be complete until she was surrounded by land, horses, dogs, and one cantankerous goat. When not writing or playing on her fourteen acre farm, you can find her in the art room at the public high school where she teaches. Visit her at www.jayerobinbrown.com. Follow Jaye on Facebook , Twitter and Instagram. ← You Can’t Use That. It’s Mine. Fun interview! I am the exact opposite when it comes to maps and directions. I “met” Jaye on Twitter a couple of years ago when I was trying to give away some John Green tickets, and I’ve really enjoyed keeping up with her tweets and book updates ever since. Love the interview, and I cannot wait to read No Place to Fall! Loved the interview! Hope to win! loved the blurb and the Q&A…fingers crossed. Congratulations on the release. And I have a similar superpower.